Syria’s current social unrest is, in the most direct sense, a reaction to a brutal and out-of-touch regime and a response to the political wave of change that began in Tunisia early last year. However, that’s not the whole story. The past few years have seen a number of significant social, economic, environmental and climatic changes in Syria that have eroded the social contract between citizen and government in the country, have strengthened the case for the opposition movement, and irreparably damaged the legitimacy of the al-Assad regime. If the international community, and future policy-makers in Syria, are to address and resolve the drivers of unrest in the country, these changes will have to be better explored and exposed. International pundits characterized the Syrian uprising as an “out of the blue” case in the Middle East – one that they didn’t see coming. Many analysts, right up to a few days prior to the first protests, predicted that Syria under al-Assad was “immune to the Arab Spring.” However, the seeds of social unrest were right there under the surface, if one looked closely. And not only were they there, they had been reported on, but largely ignored, in a number of forms. 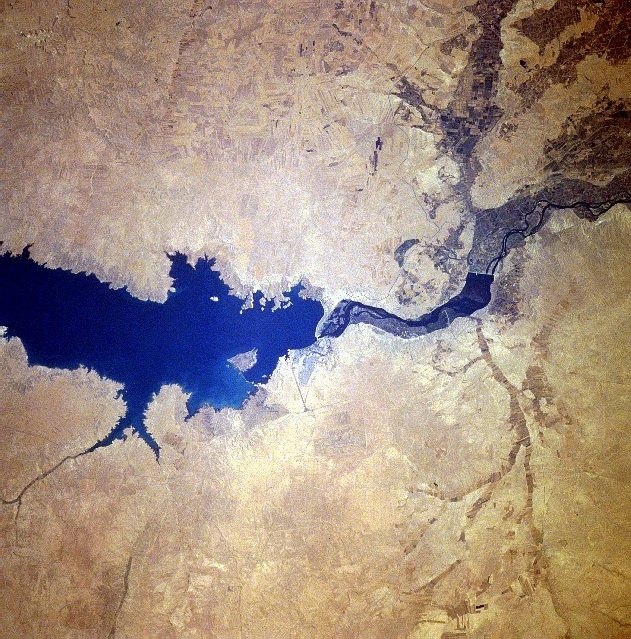 From 2006-2011, up to 60% of Syria’s land experienced, in the terms of one expert, “the worst long-term drought and most severe set of crop failures since agricultural civilizations began in the Fertile Crescent many millennia ago.” According to a special case study from last year’s Global Assessment Report on Disaster Risk Reduction (GAR), of the most vulnerable Syrians dependent on agriculture, particularly in the northeast governorate of Hassakeh (but also in the south), “nearly 75 percent…suffered total crop failure.” Herders in the northeast lost around 85% of their livestock, affecting 1.3 million people. The human and economic costs are enormous. In 2009, the UN and IFRC reported that over 800,000 Syrians had lost their entire livelihood as a result of the droughts. By 2011, the aforementioned GAR report estimated that the number of Syrians who were left extremely “food insecure” by the droughts sat at about one million. The number of people driven into extreme poverty is even worse, with a UN report from last year estimating two to three million people affected. This has led to a massive exodus of farmers, herders and agriculturally-dependent rural families from the countryside to the cities. Last January, it was reported that crop failures (particularly the Halaby pepper) just in the farming villages around the city of Aleppo, had led “200,000 rural villagers to leave for the cities.” In October 2010, the New York Times highlighted a UN estimate that 50,000 families migrated from rural areas just that year, “on top of the hundreds of thousands of people who fled in earlier years.” In context of Syrian cities coping with influxes of Iraqi refugees since the U.S. invasion in 2003, this has placed additional strains and tensions on an already stressed and disenfranchised population. The reasons for the collapse of Syria’s farmland are a complex interplay of variables, including climate change, natural resource mis-management, and demographic dynamics. On top of this, the over-grazing of land and a rapidly growing population have compounded the land desertification process. As previously fertile lands turn to dust, farmers and herders have had no choice but to move elsewhere, starve, or demand change. Massive internal displacements from rural to urban centers, and significant discontent among agriculture-dependent communities, are ill-explored factors of social and political unrest in Syria. The degree to which internal population displacement, and rural disaffection, are driving unrest has been difficult to study, given the continuing instability, but available evidence suggests that the influence of this phenomenon may not be insignificant. The al-Assad regime’s brutally violent suppression of the opposition movement is rightly the main focus of attention for an international community attempting to halt or lessen the human disaster unfolding in Syria. Unquestionably, stopping the slaughter of innocent people is the necessary first step. But a more well-rounded assessment of the dynamics of opposition in the country, including the possible social, environmental, and climatic drivers of unrest, will help policy-makers and opinion leaders fashion more responsible actions. In the short-term, stopping the violence and enhancing the likelihood of legitimate government will require an intelligent assessment of the needs and demands of the opposition movement, including those involving access to and management of vital natural resources, such as food, water and arable land. In the long-term, addressing the full gamut of Syria’s societal, environmental and climatic ills will be critical for ensuring a resilient, free and conflict-proof nation – one that can constructively engage in the international community. By Francesco Femia & Caitlin Werrell in climate and security, climate change, drought, Syria on February 29, 2012 .